Many War Thunder tank commanders have experienced the situation when a lucky shot from the enemy has knocked out all crew members but one. Previously this meant that the tank was combat ineffective and unable to continue the battle. Vehicles with only a few crew members (2 or 3) suffered the greatest from this, since almost any penetration in the turret would most likely mean that the tank was knocked out of action. 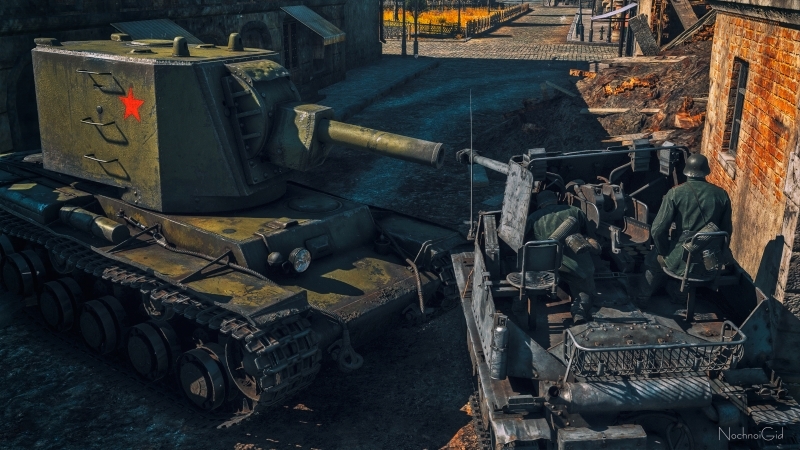 The conscious crew member will replace either the driver or the gunner, thus the tank will have the ability to move or fire. Of course you won’t be able to drive and shoot at the same time whilst having only one surviving member in a crew. In order to replace a gunner or driver, the crew member will operate slower. Currently this is a fixed time period depending on the mode. To move the driver to the place of the gunner, briefly press the fire button. Similarly, to move the gunner to the driver's place, briefly press the movement button. This may very well depend on the “Agility” skill in future (we are still considering). It is Important to note, if the conscious crew member is a driver, he will obviously not have to spend time switching to the driver’s seat, a player will be able to move his vehicle at once. The same is true for the gunner, once a gunner’s crew mates are knocked out of action he is still able to operate the primary weapon and engage enemies without a pause, however if he has to switch to the driver’s seat in order to drive the vehicle, there will be a time penalty while he performs this “switching” action. Hopefully the new system will significantly improve the survivability of ground vehicles on the battlefield and vehicles with a lower crew count will have a better chance in combat.